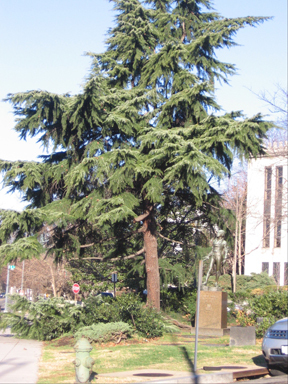 The proposed removal of a large Deodar cedar tree (cedrus Deodora) in Emmet Park may be unneccessary, said Restore Mass Ave in a Comment to the National Park Service on November 11. 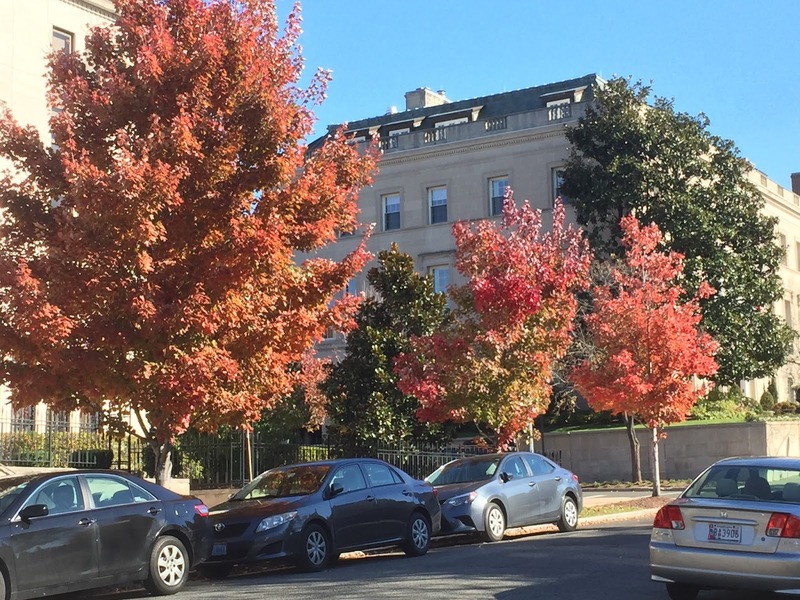 The park is in a triangle of land bounded by Mass Ave, 24th and S Street NW; the large, gray-green evergreen is a notable feature of this part of Embassy Row. 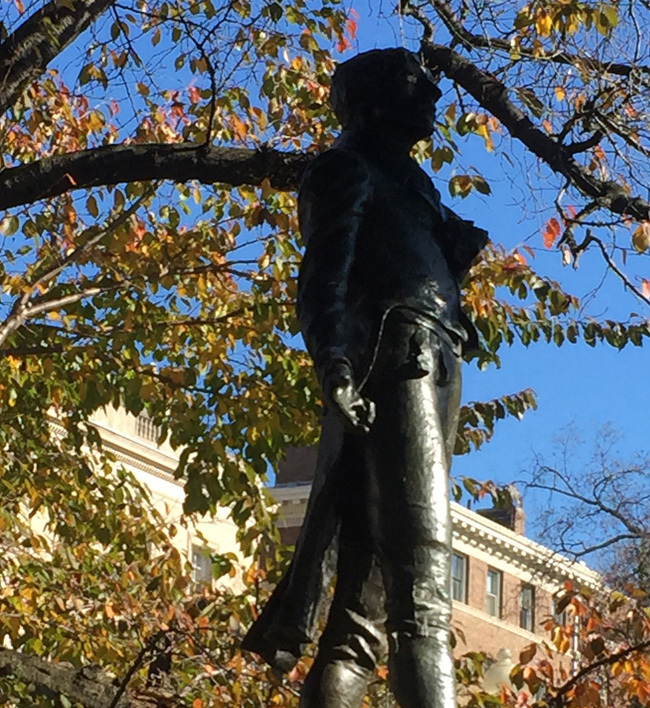 The Park Service has proposed removing the big tree to make the statue of Irish patriot Robert Emmet more visible. Also because sap drip from its branches allegedly could harm the bronze statue. Based on expert advice, Restore Mass Ave suggested the cedar can remain without sap drip harming the statue. This finding is in a Note on Statue and Sap which accompanied the filing. For the complete filing see Our PDFs page. Our group also proposed planting two new shade trees on the neglected upper slopes of the park, in the DC land which runs along the curbs. This area at S and 24th Streets is now a hot traffic corner. Tall trees there would be away from, yet frame the statue and connect the formal streetscape of Mass Ave with the old-growth forested hill of Kalorama. 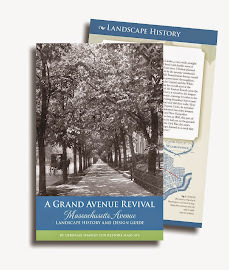 All these activities, together, fit RMA's motto: "Many stakeholders, one landscape." Right: Three matching "Red Sunset" red maple street trees in glorious fall colors. They face the Embassy of Chad (2401 Mass) and are cared for by that Embassy. They are across S Street from Emmet Park.